At first glance, the data from Spokane's most recent point-in-time homelessness count make it look like the region's homelessness problem is getting worse: This year, the city of Spokane counted 1,245 HOMELESS people, a 14 percent increase from 2017. But considering the way the city radically reinvented its homelessness counting system, including by using a smartphone app, holding youth events, and sending out a larger swath of volunteers to locations countywide, a comparatively mild increase in the reported number is good news. "The number was not substantially greater than past year," says David Lewis, manager of the city of Spokane's homeless data system. And while most of those counted were unsheltered, the number of people considered "chronically" homeless actually decreased. 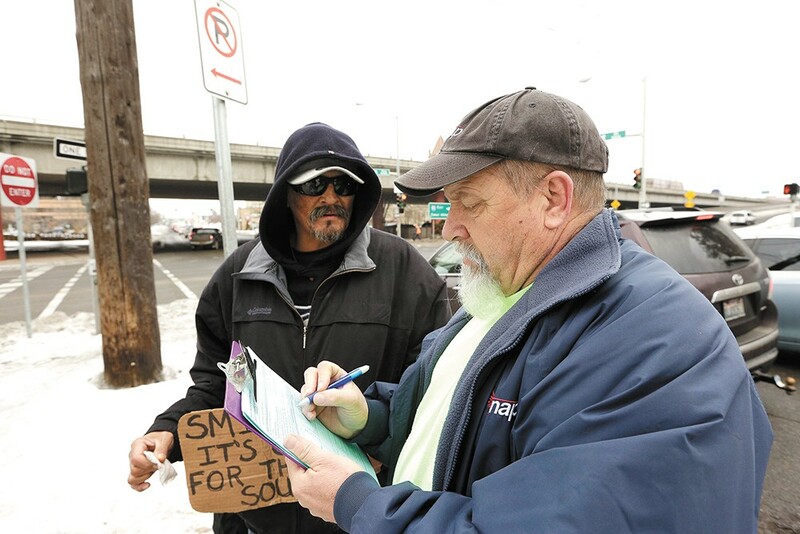 "Our community is doing a great job of addressing the needs of our most vulnerable citizens," Tija Danzig, Spokane's Homeless Services Program Manager, writes in an email. "We have made great progress and seen reductions in numbers for populations that aligned with key initiatives and increased focus, including chronically homeless, veterans, and unaccompanied youth." More than 300 of those surveyed said they'd experienced serious mental illness, while 121 said they were survivors of domestic violence. In future years, Lewis says, the data will become even more useful. As long as the city maintains the same sort of number of volunteers and deploys them in a similar way, the city will begin to be able to see trends with, not just who the homeless are, but where they're located. Other innovations, including a count during the summertime, are still being considered. Lewis even thinks there's room for the city to develop their own homeless counting app instead of paying for the third-part Counting Us app. "The vendor-provided tool was pretty good," Lewis says. "I think the city has the expertise that we could probably develop our own, to save money and be a bit more flexible."